Gibson Johnny Smith 25th Anniversary Edition - Autographed! Gibson Johnny Smith 25th Anniversary Edition - Autographed! 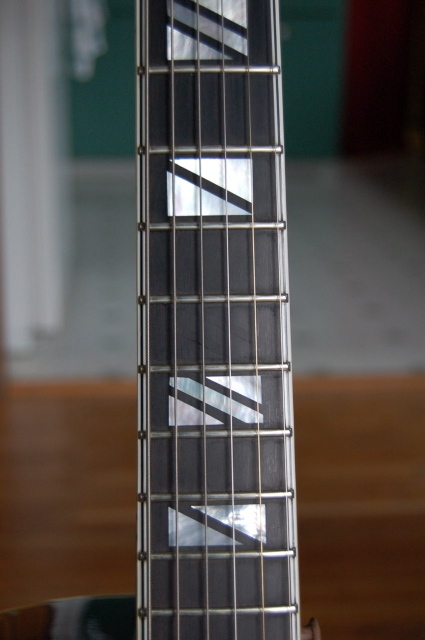 Rare 10th fret Gypsy style fret marker. Home > Gibson Johnny Smith 25th Anniversary Edition - Autographed! This guitar has very little wear. One minor ding in the top and that's it. 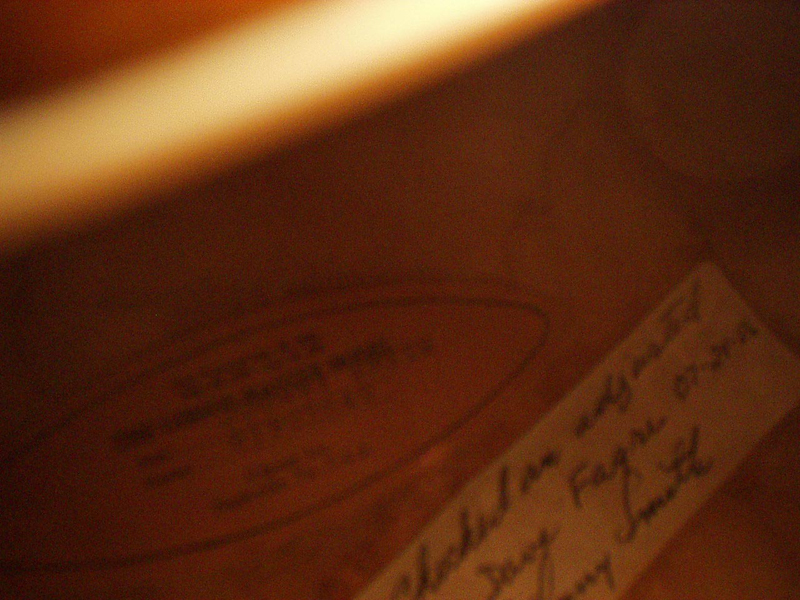 Label on the inside reads "Checked and adjusted for Dave Fagre on 7-29-86 [signed] Johnny Smith"
The 9th fret marker was moved to the 10th fret, although this can be moved back if need be. The pick guard was replaced but the original pickguard will be included. It is in good condition. The pickup has been wired to an endpin jack which was added. 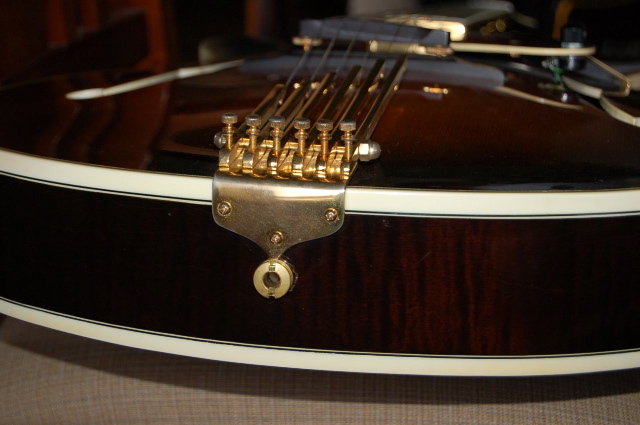 Case: Original Gibson arched case. Michael was a pleasure to do business with. I purchased the Johnny Smith Gibson 1985 Anniversary Model from him on 11/13/18. The guitar, securely packaged, arrived via USPS on 11/15/18 entirely safe and sound. I have been a life long fan of Johnny and had the pleasure of not only meeting him, but also playing his guitar many years ago. So, my 1985 Anniversary model purchased from Michael is the second guitar in my hands that Johnny’s also held and played. 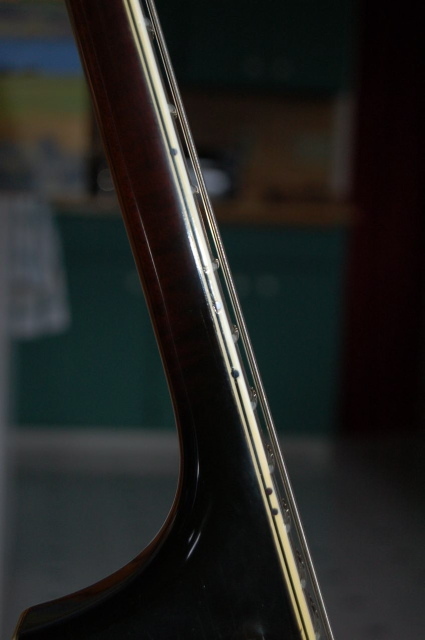 Johnny's signature in penned inside the guitar stating that he set it up for the gentleman who originally purchased it from Johnny's shop in Colorado Springs, Co in 1985. The guitar is all but flawless given its thirty -three years of age. I played professionally in the Chicago area many years ago. 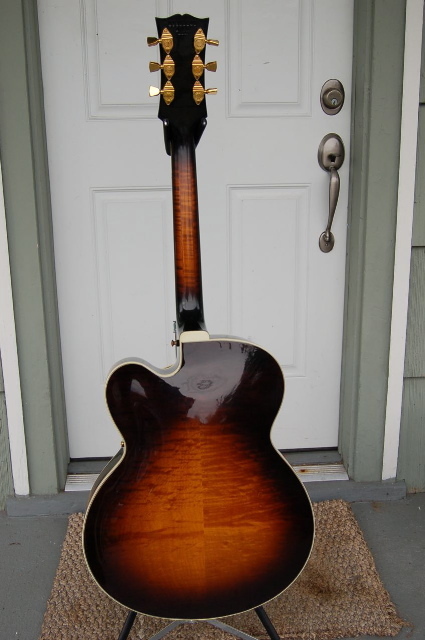 My axe was a 1956 L5, which I still own and cherish. 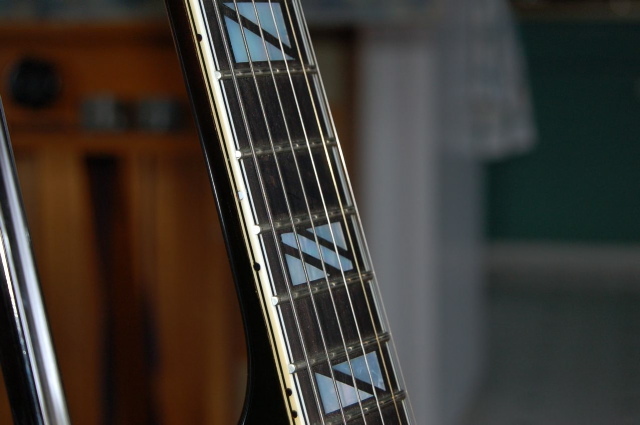 The JS model has a sweeter, more delicate tone. I am proud to own it. Lastly, Michael is great to talk to and work with. I thoroughly enjoyed my "buying experience" with him. My son purchased a Gypsy Guitar from Michael several months and loves it He and enjoyed the same excellent buying experience I did. Don't hesitate to do business with Michael.